As the temperature starts to drop over the next few weeks, it’s time to think about how you are going to stay in shape as ice and snow starts to accumulate. 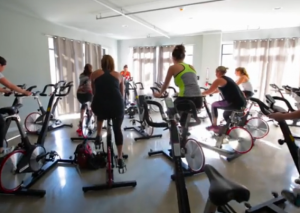 Do you store you your bike away and renew your membership to the gym? 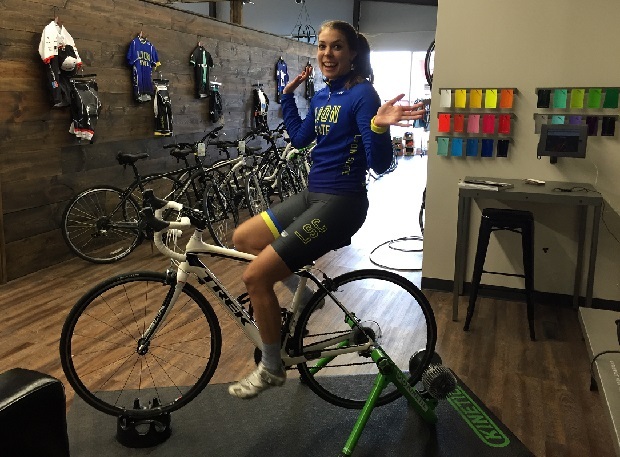 Dig your trainer out of storage and set up your bike in the living room? 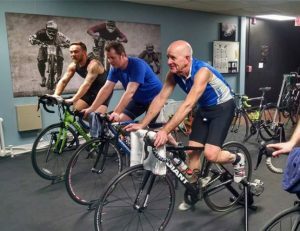 Or, do you go to a bike shop that offers a weekly training program, using state-of-the-art equipment and a knowledgeable instructor to hone your skills while keeping you motivated through the winter? 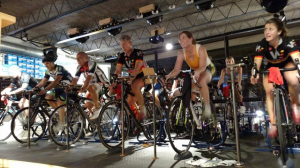 Signing up for a weekly SMART Trainer series at a local bike shop will ensure that you not only maintain your baseline, but also improve your confidence level. 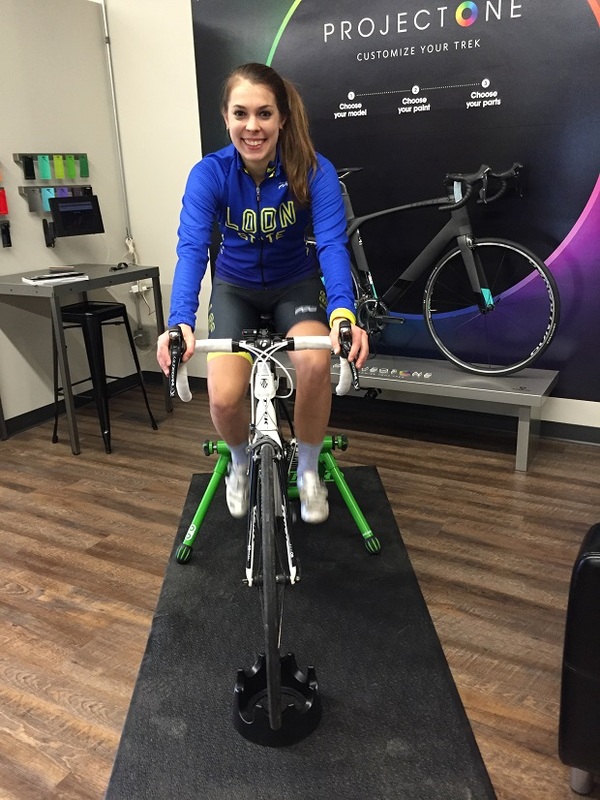 Using a SMART Trainer series at a bike shop, along with a knowledgeable instructor, will ensure that you not only maintain your baseline, but also improve performance. Come next spring, you will have more confidence and be a better, stronger, faster rider ready to gear up with friend! 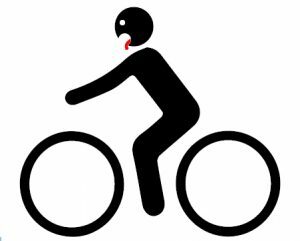 See more about One Ten Cycles SMART Trainer Program so you are ready for all the biking adventures that come your way in 2016. 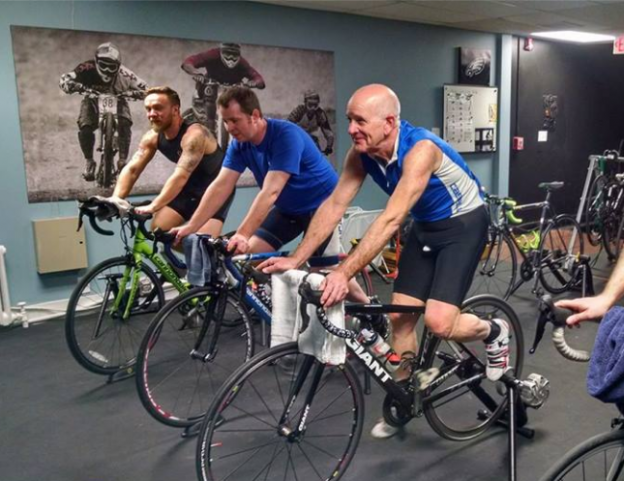 This entry was posted in News and tagged "Smart" Trainers, Bike trainers, cold weather training, confidence builders, Kurt Kinetic, spinning, winter workout on November 2, 2015 by Russ Lowthian.